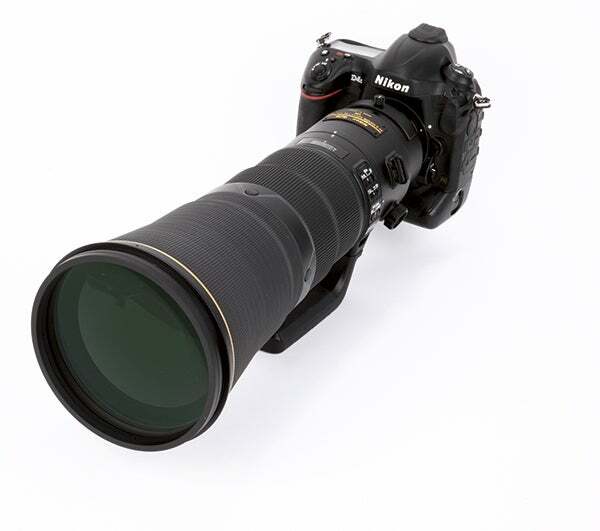 We may all dream of owning one, but what’s the new Nikon AF-S Nikkor 600mm f/4E FL ED VR lens like in the type of sporting environment it’s designed for? Curious to find out, Michael Topham put it to the test. 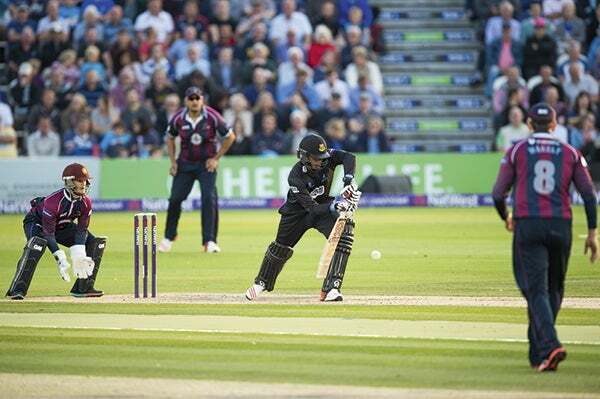 Former Sri Lankan batsman Mahela Jayawardene puts on an impressive display. I used back-button focusing to keep pin-sharp focus on the players. I like to think of photography as a relaxing and enjoyable pursuit, but right now I’m frustrated and livid about the prospect of having to cancel today’s shoot. 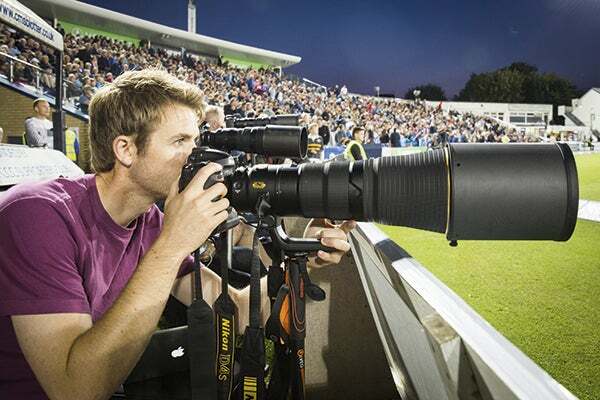 Early this morning I was expecting to take delivery of the almighty Nikon AF-S Nikkor 600mm f/4E FL ED VR and Nikon D4S, but to my dismay it hasn’t arrived and time is running out – in a few hours I’m supposed to be setting up to shoot the quarter finals of the NatWest T20 Blast cricket competition. I then breathe a huge sigh of relief as I get a call from the courier telling me it has arrived. After dashing to the post room in happier spirits, I break the lens out of its custom-fit carry case and mount it to the D4S – finally I’m good to go, or at least you’d think so. Turning the D4S on reveals a blinking battery symbol on the top-plate indicating there’s no charge in the camera whatsoever. Today is clearly not my day. As I sprint to Waterloo to catch my train with £14,000 worth of camera kit slung over my shoulder, the sheer mass of the lens (all 3,810g of it) is starting to take its toll. I quickly find myself having to revert to carrying the heavy combination upside down by the built-in rotating tripod collar. It’s at this moment I’m thankful for the rubberised grip on the underside of the collar handle that makes it feel like its glued to my hand, and for a bit of extra security I wrap the lens strap around my wrist a few times to ensure that if anyone does decide to steal it from me, I’m going with it. Mercifully, I find a mains socket on the train to get some power into the D4S battery and on my journey I get up to speed with some of the key features on the lens by taking a look at the user manual. I’m eager to try out its focus function buttons located midway down the barrel, the memory-recall function and the sport vibration reduction mode. After what can only be described as a frantic journey, I arrive at the Sussex Cricket County Ground five minutes late and pick up my press pass before setting up beside six other press photographers who are all shooting with Nikon DSLRs. As I screw my Vanguard monopod into the tripod collar and raise the camera to the action, I become aware of the photographers to the left and right of me glancing at my set-up. ‘Is that what I think it is?’ one jealous press photographer asks. With no time to chat, I’m straight to work, and since I’ve had no time to set up the D4S beforehand I find myself customising it in between shots. The lens was paired with a Vanguard VEO AM-264TR monopod to offer some additional support. With the camera set up, it’s time to turn my attention to the lens and I begin by flicking the focus mode to autofocus with manual override (A/M). This is rather similar to the lens’s M/A mode, apart from the fact that it requires the focus ring to be rotated further before autofocus is overridden. However, my main reason for choosing A/M instead of M/A is that it can prevent accidental changes to focus caused by unintended operation of the focus ring. As I compose my first few shots and instinctively depress the shutter halfway, the lens refuses to focus. My first thought is that I might have a faulty lens, but to my relief it instantly finds focus as soon as I press one of the function buttons on the barrel. A moment later I head into the D4S menu where I notice the camera has, in fact, been set to focus using the AF-ON button, which I keep enabled. This will allow me to use the back-button focus method to prevent players in the foreground throwing the lens out of focus as they pass in front of it – something that can also be achieved on the lens itself by depressing and holding one of the four focus function buttons. Taking a closer look at the focus function switch, I notice that it can also be pushed forward from its current AF-ON setting to enter AF-L mode, which is used to lock the focus position of the lens and disable the focus function buttons from operating. A quick review of my first set of images reveals that the lens is allowing me to shoot very close to the action, and I’m amazed that just a couple of pushes of the magnify button in playback mode are all that’s needed to fill the screen with the batsman at the farthest end of the ground. Another quick glance at the side of the lens indicates I have the vibration reduction (VR) switch set to ‘normal’, which is designed to be effective when shooting stationary subjects. Although I haven’t detected any camera shake in my shots – something I’ve looked to avoid by supporting the lens on a monopod and shooting at 1/800sec – I switch the VR mode over to ‘sport’, which is designed to be more effective for subjects that move rapidly or unpredictably. To keep the shutter speed fast (1/800sec) and the sensitivity low, the lens was freqently used as its maximum f/4 aperture. A quick referral to the manual confirms that both normal and sport modes can be used when a camera is mounted on a monopod with no ill effects. While it’s hard to trace in such a loud environment, a low-frequency whir can be detected when the VR is used in quieter surroundings. As I sling the lens over my shoulder in search of a new location to shoot from, I find myself having to ignore some heckling from cricket fans insinuating it’s not all about size. On the opposite side of the ground the last rays of sun give way to the floodlights, and as I push the sensitivity beyond ISO 1,000 to ensure my shutter speed doesn’t fall below 1/800sec, I find myself experimenting with the lens’s memory-recall function. Ensuring the beep on/off switch is enabled and the focus-mode switch is set to its central memory recall setting, I use the AF-ON button on the camera to obtain focus on the batsman before depressing the memory-set button on the opposite side of the barrel. A beep sounds, indicating that the lens has stored the focus distance, and as I pan to my right to capture a quick shot of a catch, I’m able to reacquire the same focus distance I used in my previous shots in an instant with a press of a focus function button. It’s a feature that’s particularly useful and it can be performed in any focus mode regardless of the position of the focus-mode switch. A shot captured while experimenting with the AF memory recall function. At the interval between innings I can’t resist loading up a few shots on my MacBook to see how well the lens is performing and check that I’m satisfied with my results. An inspection in Lightroom reveals absolutely sensational sharpness in the centre of the frame complemented by an attractive depth of field at its maximum aperture. Users will find the optimum sweet spot around f/8-f/11, but being a sports and wildlife lens where speed is everything, it will undoubtedly see most use wide open. Vignetting in the corners at f/4 isn’t offensive, either, offering reassurance that I can use it at its maximum aperture for the remainder of the evening. 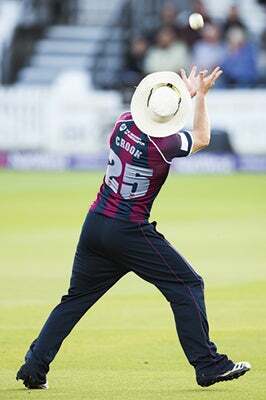 As I retreat back to the press area, a few huge hits from a Northamptonshire batsman have me setting up the lens once more. I loosen off the tripod collar ring attachment screw and rotate the body 90° to capture a few shots in portrait orientation. Unlike some collars that notch into place at 90° this one doesn’t, so I find myself pulling my eye away from the viewfinder for a split second to line up the white dots on the lens and the collar as a guide. With dark clouds looming I raise the sensitivity in an attempt to freeze the action. The light levels are now much more challenging than when I first arrived, but the lens is continuing to lock on and find focus instantly. 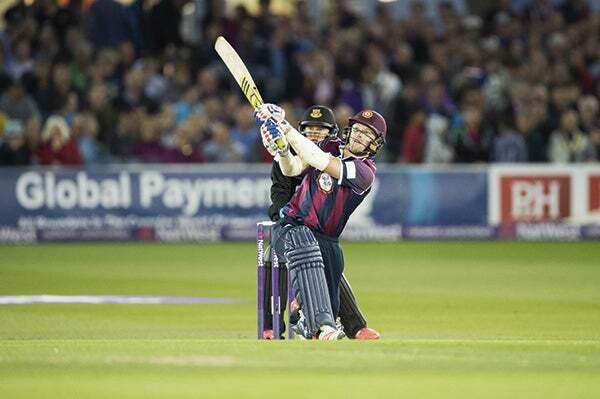 It is performing exceptionally well in such a low-light and challenging sporting environment. The kens continued to focus accuratley in low ligth. This image was captured at 1/800sec at f/4, ISO 3,200. With the result of the cricket now obvious (Northants beat Sussex by seven wickets), I finish by loosening off my monopod to see what the lens is like to use handheld. Three minutes later I’m resting the lens nose on the hood to give my arms a break. There’s no denying the 1,250g it sheds from its predecessor makes a huge difference when it’s being carried, but for everyday use it’s a lens that has to be paired with a monopod to take the weight off. There are no fewer than five switches on the barrel, which are all located behind the rubberised focus ring. At the top there’s the focus-mode switch allowing users to select A/M, M/A and manual-focus modes. Beneath this is the focus-limit switch that has two settings. The full setting uses the entire focus range, whereas the 10m-infinity setting is intended for photographing subjects at greater distances. In the centre there’s the VR switch with three options – off, normal and sport. Below this there’s the focus function selection switch with three options – AF-L, memory recall and AF-ON. At the bottom is the beep on/off switch that can be used to enable or mute the ‘beep’ that sounds during memory set and recall operations. Switches are located behind the large manual-focus ring. As I invert the hood and protect the huge front element with the slip-on front lens cap, I take some time to reflect on today’s shoot. 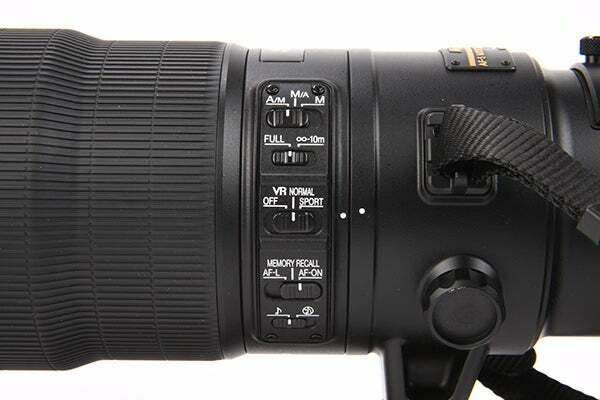 The Nikon AF-S Nikkor 600mm f/4E FL ED VR is the most expensive lens I have ever used, and I don’t think I’ll lay hands on a telephoto lens any better. I’m in awe of its sharpness and results, and the only regret I have is not trying it out with a Nikon APS-C DSLR that would have turned it into a 900mm monster. Although its price implies it will only ever find its way into the hands of working professionals specialising in sports or wildlife, some lens hire companies have already added it to their books, with Fixation (www.fixationuk.com) charging £90 a day or £355 to hire it for a week. There’s the small matter of having to put down a £7,500 deposit (which will be fully refunded upon its safe return), but for those on a specialist assignment or a once-in-a-lifetime trip it’s good to know you can get your hands on it, and for a fraction of cost you’d pay for it outright. It’s not often I say this, but I feel privileged to have used the Nikkor 600mm f/4E FL ED VR – it’s a magnificent lens.